Does s4 Really need all these files to run? Yes, they are called resources. But the internal structure of S4 League is wrong. However, there are still a lot of unused files in the game client. Yes I decided to delete BE, Hacksheild, Xtrap, Aegis, and all the other un-needed Security system that still sit in S4 that isn't needed. 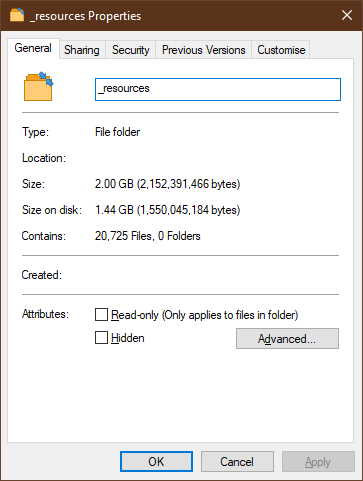 Well, there is no really point bothering deleting them considering the files outside the resource folder doesn't take much space on the first place and you may delete something that is still in use by a mistake. yes, but if the game stops working after the next patch for no apparent reason because it couldn't patch the right files, you may regret doing it. There are a lot of trash files (BE and old stuff). I would recommend a new installation, this should clean most of the mess. If something is missing after a patch you can always contact one of our GM, they have the missing files then. New install o-o? which one are you referring to? the one on your homepage? It would be the best way to clean the folder without deleting important files. You can also just leave it as it is right now. Based on download: Yes, please from the homepage. The homepage is where I can only download it from Lol. Could you then clarify for what you are searching for? I guess there was a misunderstanding. Meaning if I try to reinstall (fresh from the homepage) I w ill then receive those Files back. the ones I previously deleted. But from how I took it is that, you said there was an alternative download avaliable, with a more clean version. It would honestly help A lot. Though this discussion is being more "support" help lol. That won't work because when the patcher patchs the game it download again that files, because the installer isnt updated so it download the old patches that contains that useless files. There is a way to clean unnecessary files but we cannot talk about it.